No matter your gender, age, or athletic ability—believe the hype—strength training is important for everyone and every body! Strength training uses weights and resistance to help your body get stronger. 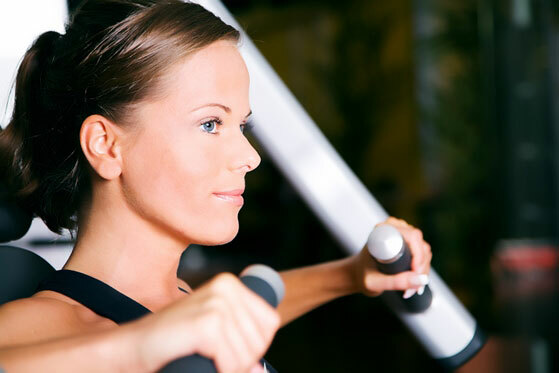 Strength training includes everything from using free weights to weight machines to strength-focused classes and more. The main idea is that you are using weights (or your body weight) to work your muscles and help them to get stronger. “Rep” or repetition—one full move that includes lifting and lowering, or pushing and pulling. For example, one push-up (lowering and raising your body) is one rep.
Set—a group of consecutive reps. It might seem obvious that the purpose of strength training is to get stronger, but this concept doesn’t just apply to muscles—your bones can also get stronger, which can reduce the risk of osteoporosis. If you are brand-new to strength training, it’s a good idea to meet with a personal trainer to learn proper form and technique, which are important to ward off injury and maximize your workouts. Like you would with any workout, you’ll want to spend a bit of time warming up before you hit the weights. A bit of cardio is a good idea for getting started—a brisk walk or light jogging are good examples.